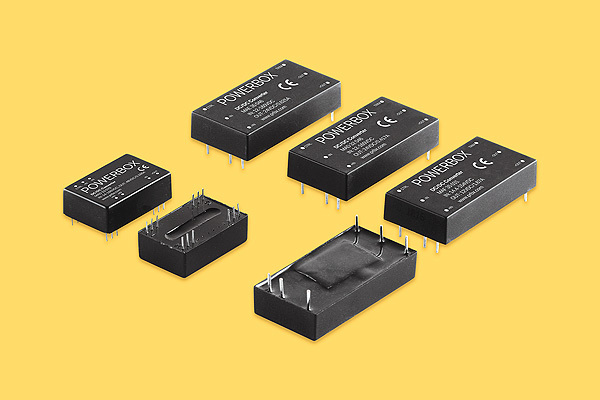 Powerbox, one of Europe’s largest power supply companies, and for more than four decades a leading force in optimizing power solutions for demanding applications, announces the launch of four new series of extra-wide input voltage range, 8W to 20W board-mounted DC/DC converters for railway and transportation industry. With a 13:1 input voltage range of 12V to 160V, the MAD33 (8W), MAD32 (10W), MAE35 (15W) and MAF35 (20W) have been developed to provide systems designers with a single part number that is able to power a large range of transportation industry applications (e.g. railway, industrial automation and automotive, remote radio-control), reducing inventory, time to market and documentation. The MAD-MAE-MAF series are designed to meet railway specifications EN50155, EN50121-3-2, EN61373 and EN45545, but as well ISO7637-2 for 24V vehicles, and EN12895 for industrial trucks and other industrial applications such as robotics. The 8W MAD33 is packaged in an industry standard DIP24 case, and the MAD32, MAE35 and MAF35 are housed in a 2×1 inch case. All four series have a typical efficiency rating of 86%, which considering the extra-wide up to 13:1 input range is an outstanding figure. With the development of connected devices and Internet of Things (IoT), the number of points-of-interaction and sensors are rapidly increasing. Systems designers are facing challenging situations by having to develop products able to operate in many different applications powered by a large range of voltages – versatility is the name of the game. As an example, the railway standard EN50155 specifies no less than six different bus voltages (24V, 37.5V, 48V, 72V, 96V and 110V) including brownout (voltage drops) and transient surges during start-up. Considering many equipment could be connected to any of those six voltages, system designers have to be able to guarantee that their equipment will operate from 14.4V to 154V, include brownout (voltage drop down to 14.4V) and a one second transient of 154V as specified in EN50155. With an operating input voltage range from 12V to 160V and a power rating range from 8W to 20W, the new MAD-MAE-MAF series converters from Powerbox are the Swiss army knife power solution, simplifying design while shortening time-to-market and reducing documentation and inventory. The new series of converters are suitable for low power loads and devices in railway applications such as communication devices, GSM-R phones and their docking stations, routers/Wi-Fi access points, small screens, USB charging sockets (both in-seat and driver’s cabin), sensors, and standby power for larger devices. Available in four output voltages of 5, 12, 24 and 48V in natural convection conditions, the MAD33 delivers 8W and the MAD32 10W. The MAD33 is available in a Dual In Line Packaging (31.8 × 20.3 × 12.7 mm – 1.25 × 0.8 × 0.5 inches) and the MAD32 in an industry standard 2×1 inch packaging (50.8 x 25.4 × 10.2 mm – 2.00 × 1.00 × 0.40 inches). The 15W MAE35 and 20W MAF35 are available in three output voltages of 12, 24 and 48V and are similarly provided in 2×1 packages. All series deliver full output power in ambient temperatures up to 60 degrees C and continue to deliver power with a linear derating up to the 100 degrees C case. The MAD32, MAD33, MAE35 and MAF35 are housed in plastic cases. Designed for ruggedized environments, the MAD-MAE-MAF series meet thermal shock and vibration requirements as specified in EN61373 and MIL-STD-810F, and they all meet the Fire and Smoke EN45545-2 standard. All models within the MAD-MAE-MAF series feature full protection level sets including input voltage lockout, short-circuit protection and current limiting. All units operate at a fixed switching frequency and including PI type input filters. The operating temperature range is from -40 to +85 degrees C ambient (maximum 105°C case) and storage is from -55 to +125°C. The new series of converters from Powerbox meet the requirements of UL60950-1, EN60950-1 and IEC60950-1 standards, and CE mark 2014/30/EU. All products have an input to output isolation voltage of 3,000 VAC. 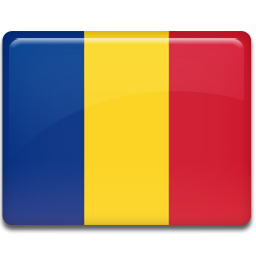 The MAD-MAE-MAF series are RoHS compliant. The MAD33 (8W), MAD32 (10W), MAE35 (15W) and MAF35 (20W) are complementing the PQB50U-72S (50W) and PFB600W-110S (600W), offering a complete range of power modules solutions, from 8W up to 600W, to railway applications and demanding industries.